The EUR/USD pair has failed to form another descending wave; it has broken its consolidation range ti the upside and finished the first extension. We think, today the price may form another consolidation range and fall with the target at 1.1207. Later, in our opinion, the market may grow to reach 1.1307. After that, the instrument may be corrected towards 1.0900. The GBP/USD pair is consolidating; it has expanded this range both to the upside and downside. 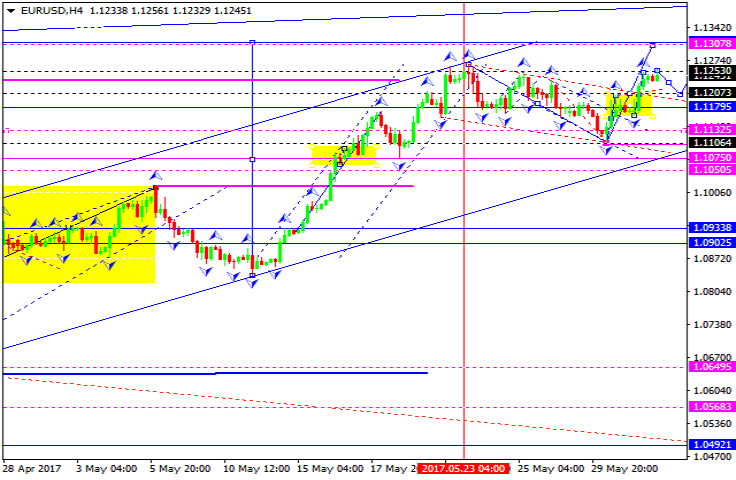 We think, today the price may fall towards 1.2840 or even reach 1.2760. After that, the instrument may reverse and grow with the target at 1.2840. 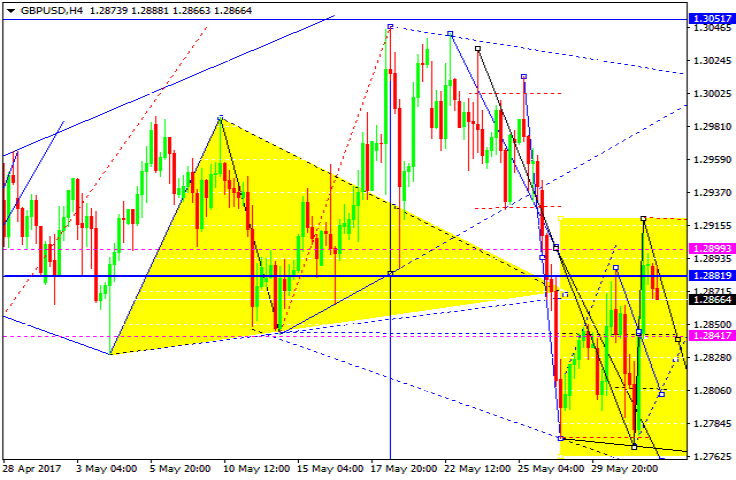 The USD/CHF pair has failed to form another ascending structure; it has broken its consolidation to the downside. Possibly, today the price may return to 0.9715. Later, in our opinion, the market may form anther descending structure towards 0.9630 and then grow with the target at 0.9900. The USD/JPY pair has almost completed the descending wave; right now it is consolidating. If later the market breaks this consolidation range to the downside, it may reach 109.50; if to the upside – grow towards 112.42. 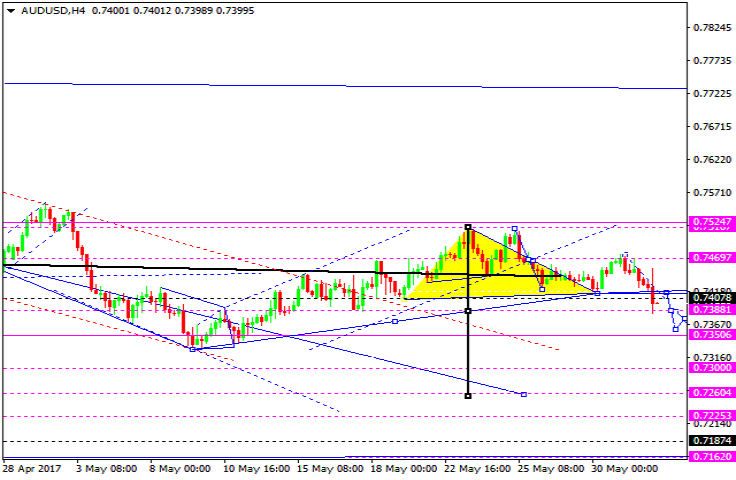 The AUD/USD pair has rebounded from 0.7469 and right now is forming the third descending wave. By now, the instrument has already completed one descending structure, which may be considered as a half of the third wave. Later, in our opinion, the market may form another consolidation range and reach new lows. 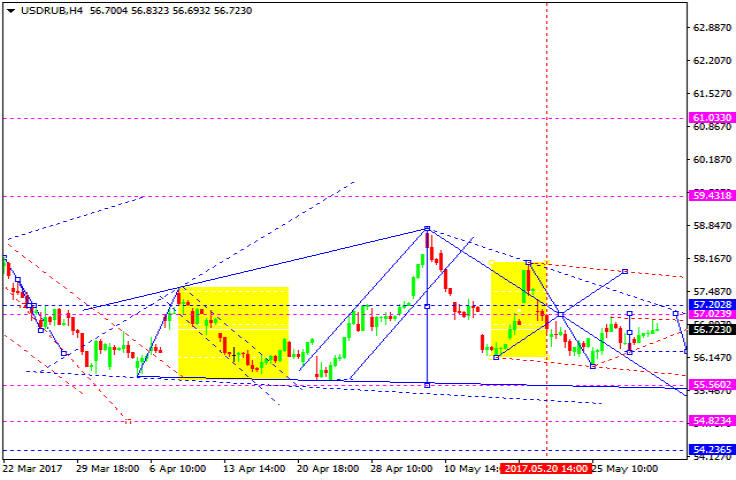 The price is expected to move downwards with the target at 0.7300. The USD/RUB pair is consolidating below 57.00. 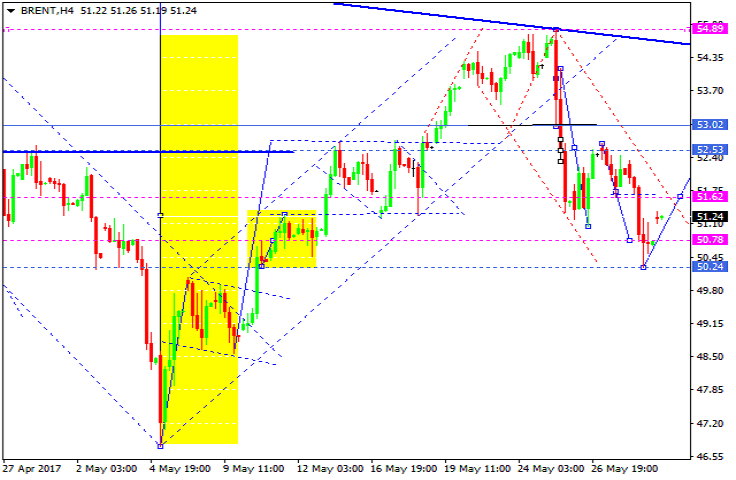 We think, today the price may grow to reach this level and then fall towards 55.50. Later, in our opinion, the market may return to 57.00. 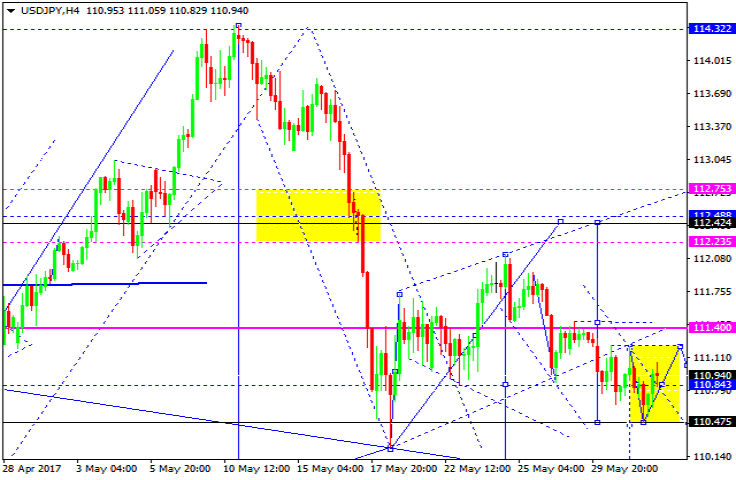 Gold has reached the local target of the ascending structure and formed a new descending impulse. Possibly, today the price may be corrected towards 1256.40. 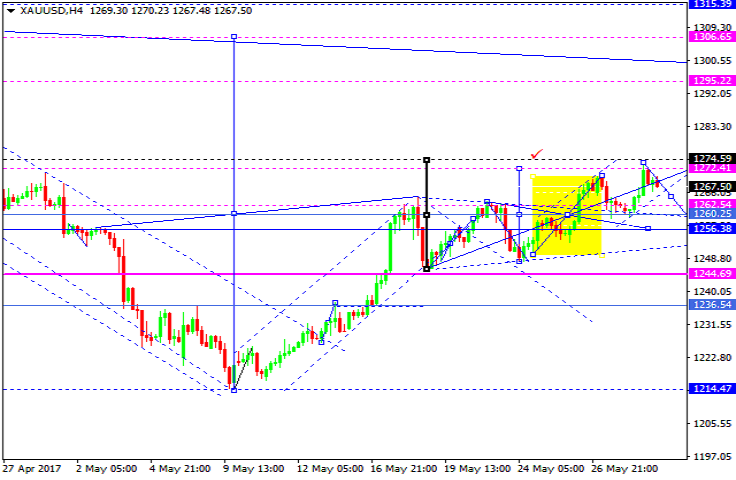 After that, the instrument may grow towards 1274.60 and then fall with the target at 1260.25. Brent has reached the target of the Flag correctional pattern. 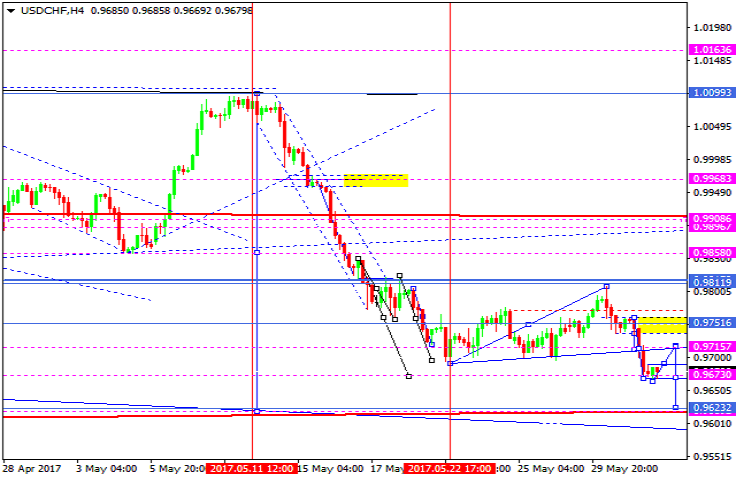 The market was opened with a gap up today and right now the price is forming the first ascending wave towards 53.00. Later, in our opinion, the market may fall towards 50.96 and then grow to return to 53.00.